Chicagoan Jenny Learner has been making art her entire life. Classically trained at the American Academy of Art and self-taught in interior, surface design & photography. For over 35 years this multi-faceted artist has been designing custom room dividers, screens, hand-painted wall coverings, fabrics, murals, & site-specific art for interior designers and architects. She exhibits, teaches, curates, juries locally and nationally. 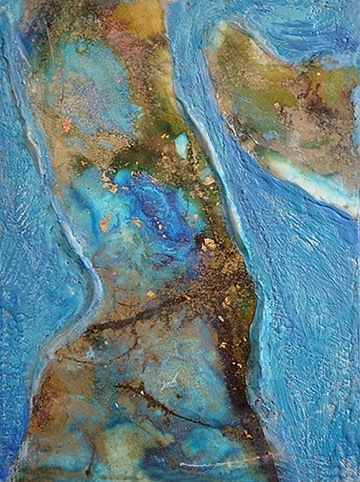 After an introduction to encaustic she fell in love with the ancient medium of fusing fire with beeswax and pure pigment. 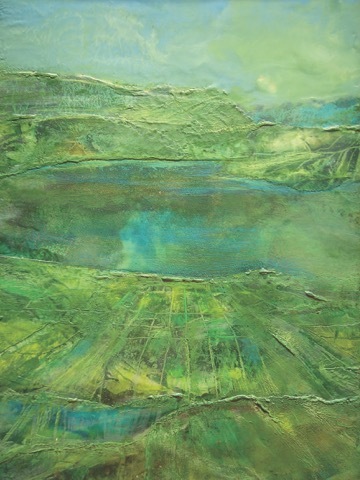 Encaustic became her elixir of life. Imagine painting and sculpting within the wonderful realm of flowers and honey. The medium’s luminosity, transparency, aromatherapy, alchemy, with the unexpected results constantly surprise her. 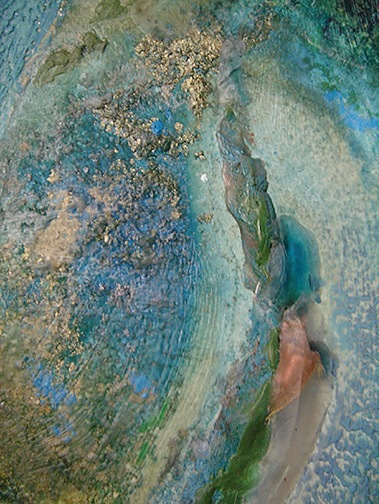 She gains inspiration for her new work from Earth’s multiple landscapes and wonders including raw gemstones, outer space, medicine, life, & dreams. Further curious and fascinated with evolution, anthropology and time, as an artist Jenny is grateful to be living in this digital age with resources at her fingertips. The photographer Yann Arthus-Bertrand and the Hubble telescope’s imagery of the Universe endlessly muse her.